I will be moderating one of the panels today, a 4 p.m. ET program presented by Catalyst, Using Advanced Analytics Techniques to Meet the Proportionality Requirements of the New Federal Rules. We’ll discuss how advanced analytics techniques such as timelines, visual analytics, faceted search and the latest technology assisted review protocols can help address proportionality requirements while saving on e-discovery costs in the bargain. Other programs planned for the day will discuss topics ranging from case law to social media discovery to e-discovery trends, along with several programs focused on the new federal rules. 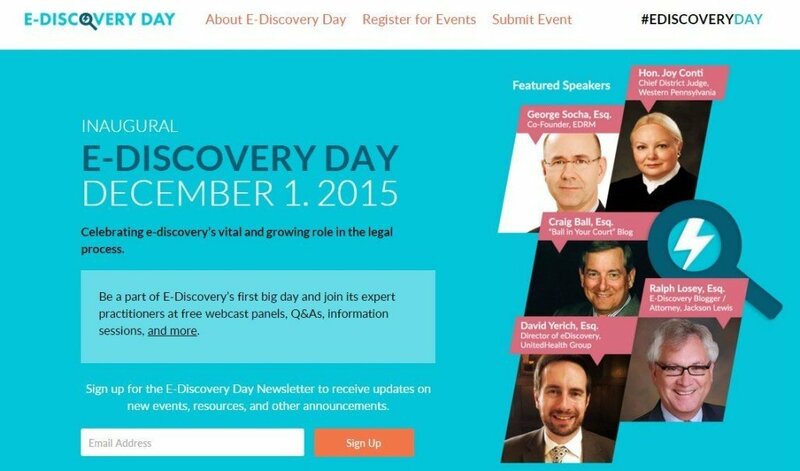 You can find the complete line-up of programs and register for any of them at the E-Discovery Day website. And follow the day’s events on Twitter with the hashtag #ediscoveryday.